Innovative Flooring and Design is your one-stop professional floor covering installer! Third generation, experienced installation of carpet, vinyl, hardwood and ceramic. 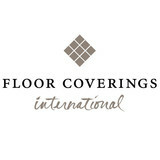 Floor Coverings International is a mobile showroom filled with over 3,000 samples. We come out to your house and do a completely free in home estimate and show you options that will best fit your needs and your budget. 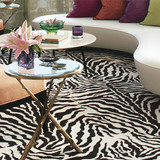 Brown & Damare is a wholesale source for fine floor coverings and custom area rugs to the design-build trade. Tony Herring & Associates, Inc. 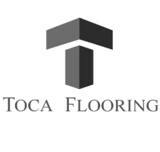 Locally owned and operated flooring store, with over 20 years of experience. A1 Flooring and Bath is dedicated to serving New Orleans, Jefferson, and St. Charles Parishes with quality name brand flooring at a price that can fit any budget. Southern Flooring is experienced in commercial, residential and retail aspects of floor covering from the ground up. We offer contemporary to traditional styles in the latest products from carpet, tiles, natural stone, hardwood, laminate, sheet vinyl and LVT. 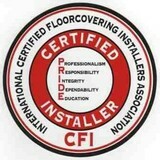 We take great pride in offering quality installation from floors to custom showers. Since 2007, Chalan and Kyle became owners and operators of Southern Flooring. Both have been installers since the 1990's. In August 2014, they opened a beautiful showroom in Covington. Their goal is to offer the best service, quality products, competitive pricing and professional installation. It would be our pleasure to serve our community and surrounding areas for their flooring experience. We are a local company here to help consumers navigate thought the sometimes daunting task of choosing the right flooring for your lifestyle. We will help you select items that fit your personality and your budget. Bring Out the Inner Beauty of Your Home with Stylish and Affordable Flooring Choices from Modern Flooring Carpet One Floor & Home! No other flooring store can match the quality, selection and value you'll find at Modern Flooring Carpet One Floor & Home. With stunning floor choices in hardwood, ceramic tile, laminate, resilient flooring and carpet, you're guaranteed to find the perfect look at the best prices. There's never been a better time to outfit your home with gorgeous new floors or freshen up a room with easy care carpet. We carry top quality name brands you know and trust all guaranteed to exceed your expectations. Plus, many brands of flooring can be uniquely customized to suit your needs and budget - giving you more variety and choice than any other flooring store. Whether you're updating a room or renovating your entire home, Modern Flooring Carpet One Floor & Home is the flooring store that makes buying flooring easy and hassle-free. Carpet dealers in Saint Benedict, LA help homeowners choose the correct carpet covering for their floors, and also assist with carpet maintenance. This includes determining factors like material, carpet pile, durability, color and size, as well as helping with any custom carpet design. After completing the initial installation (which includes removal of the old flooring, if applicable, and surface prep), they may also handle follow-up maintenance requests such as carpet cleaning, carpet repair and carpet stretching. Carpet dealers might work closely with Louisiana contractors, interior designers and others in the home building and home improvement industry. Here are some related professionals and vendors to complement the work of carpet dealers: Interior Designers & Decorators, Design-Build Firms, Specialty Contractors, General Contractors, Home Builders. Find a carpet dealer on Houzz. Narrow your search in the Professionals section of the website to carpet dealers in Saint Benedict, LA, and read reviews and ratings for pros in your area.